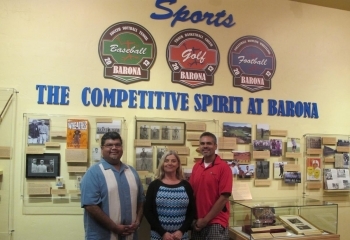 October 8, 2013 (Lakeside) – To celebrate the history of sports on the Barona Indian Reservation, the Barona Cultural Center & Museum recently opened a new exhibition entitled Sports: The Competitive Spirit at Barona. The exhibit, on display this October through 2014, features Native American sports heroes from around the country as well as from the Barona Indian Reservation. Admission is free. The exhibition explores the stories of generations of Native American athletes who have played and excelled at sports. A retrospective from the early 1900s to 2013 reveals the Tribe’s deep devotion to sports and highlights famous Native American athletes from the past and present. The retrospective features 1912 Olympic gold medalist and football legend Jim Thorpe who is considered by many to be the greatest athlete of the 20th century, professional football great Pete Calac, 1964 Olympic Gold medalist Billy Mills and PGA Golfer Notah Begay, whose President’s Cup ring is on display. The San Diego History Center has also loaned photos of Major League Baseball’s first Native American star John Tortes “Chief” Meyers. Things have changed a lot since the early days but sports are still an important part of life at Barona. The Tribe continues to encourage youth to be active and participate in athletics though Inter Tribal Sports (ITS), an organization that also figures prominently in the exhibition. Created a decade ago to unify Tribal youth and Tribal communities through structured athletic programs, ITS began as a grassroots effort and has grown to include more than 3,000 youth from 22 Tribal communities. It currently reaches out to 1,000 youth annually. In addition to keeping youth active in four age divisions in basketball, softball, volleyball, soccer and other sports, ITS also offers a variety of enriching and educational programs including cultural gatherings, sports camps and leadership activities. A special section of the exhibition is dedicated to the people of Barona, and includes a display honoring the Chairman’s son, Matt LaChappa, who was a San Diego Padres second round draft pick in 1993 and Tribal member Pat Curo, currently a Barona Museum language teacher, who played against NBA Hall of Famer Bill Walton while in high school. More than 200 photos of Tribal members playing sports and a digital roster of all Tribal athletes are showcased. Additional items on loan from Tribal members include a 100 year old lacrosse stick from the family of Barona Tribal member Willie Cruz, a 70 year old shinny stick made by former Tribal Chairman Bob Quitac from the Welch family Collection, and an ancient stone ball. The Barona Cultural Center & Museum is located on the Barona Indian Reservation at 1095 Barona Road in Lakeside just one mile north of the Barona Resort & Casino. 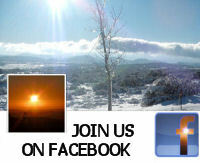 It is open Tuesday through Friday from noon to 5 p.m., and Saturday from 10 a.m. to 4 p.m. Admission is free. 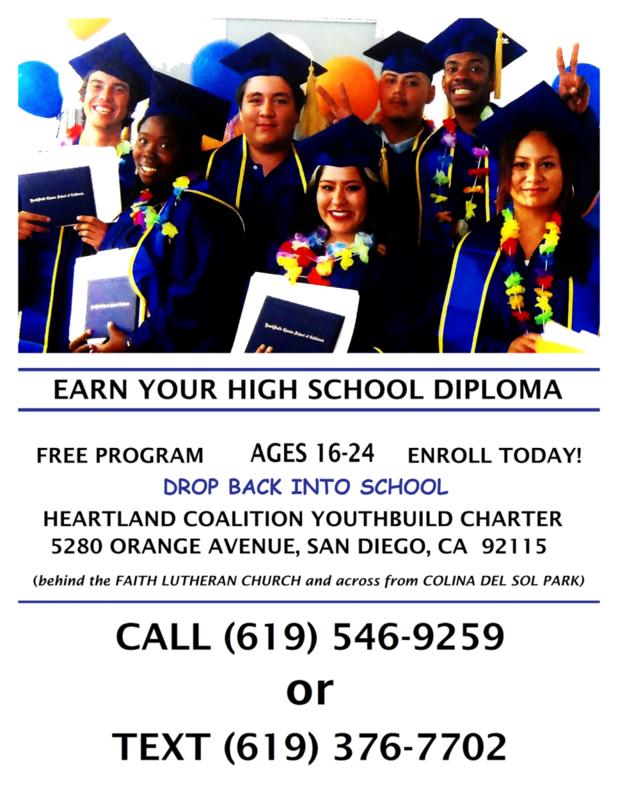 For more information or to schedule a group tour, call 619-443-1003 ext. 219 or visit www.baronamuseum.org.